Proprioception, vestibular, interoception…sensory processing is complicated enough to explain to adults! So how can we go about explaining sensory processing to kids in a way that they will understand? A few weeks ago, I was driving with my son. I was a few days away from launching the book Sensory Processing Explained and he was asking me about the book. 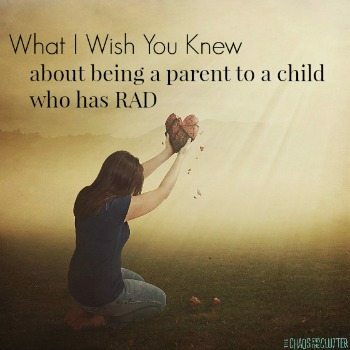 One of the things he said was “I understand why you wrote that book since so many of the other kids have Sensory Processing Disorder, but I don’t, do I?”. I couldn’t help but laugh. Although we’ve not bothered to get this particular son an official diagnosis for Sensory Processing Disorder (SPD), I’m quite sure he has it. We already had the diagnosis for many of our other children, so I felt confident in my ability to meet his sensory needs without having it on paper. His question made me realize that I had failed to explain to him why we did so many sensory activities and had so many sensory interventions. That day, I was finally able to explain that though he didn’t have some of the sensory seeking signs that some people automatically associate with SPD, he had other signs. I began to tell him about the 8 sensory systems and as soon as I defined Interoception, he laughed out loud. “I guess I do have it!”, he proclaimed. You see, for him, sensory processing issues don’t look like constant spinning or movement. They don’t look like covering his ears when things are loud or complaining about itchy clothing fabrics. For him, sensory issues present in more of his internal body awareness. He is always hot, even if it is -40° out in the middle of our Canadian winters. He feels hunger and thirst differently than most. His pain tolerance is incredibly high. 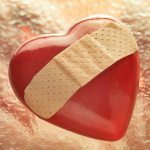 In fact, his pain tolerance is so high that he hardly complained when his appendix almost ruptured! He has a few other sensitivities too such as getting dizzy easily (vestibular), so he avoids spinning or amusement park rides that turn. But when it comes to the 5 senses that most people think of, he is quite typical. It was more than a bit humbling to think that here I had literally written a book on Sensory Processing and yet, I had failed to properly explain it to one of my kids. I realized that I had assumed that they understood it well from all the sensory work that we do without being intentional about teaching it to them. I have since rectified that. I have taught them the vocabulary, the basics, as well as teaching them to recognize and talk about their own sensory preferences. 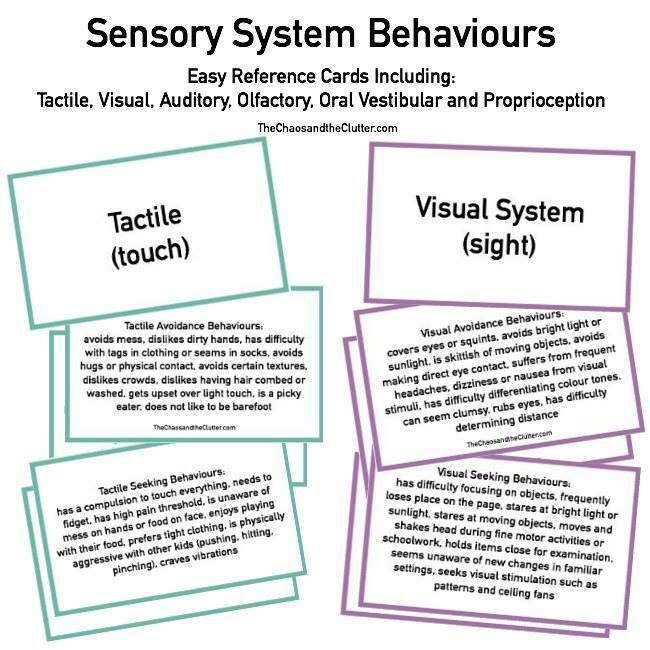 Teaching kids about sensory processing is essential, especially for children with sensory issues. 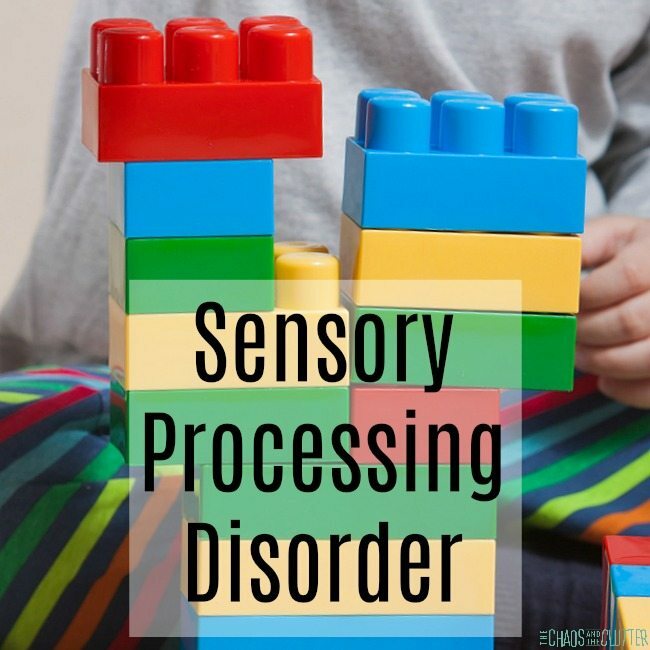 All kids need to develop the foundation and vocabulary to understand sensory processing, but it is even more crucial for children with sensory issues or Sensory Processing Disorder to have a solid grasp of the information. The My Sensory Self Workbook for Kids is a wonderful tool for teaching kids about sensory processing. It contains printable colouring pages, a kid-friendly explanation of each of the 8 sensory systems, a sensory word search, and a questionnaire designed to help kids identify their own unique sensory preferences. 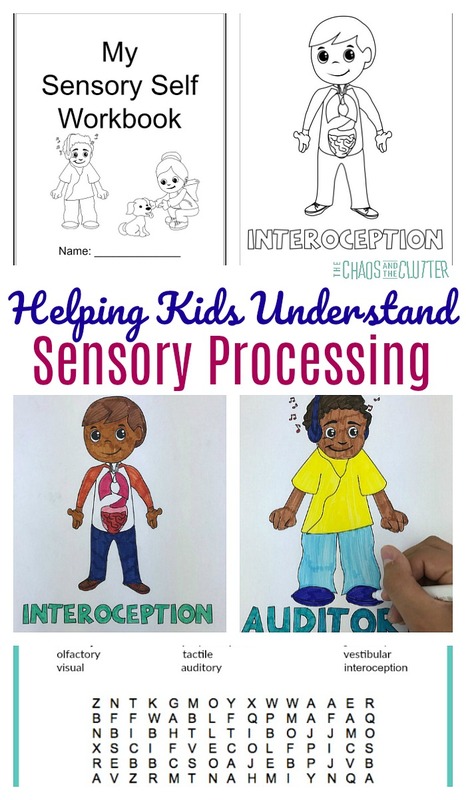 I created the ideas for the workbook while in the midst of explaining sensory processing to my kids. Their questions helped guide me. They have all really enjoyed filling out their workbooks. Even my older kids enjoyed learning this way and being able to personalize the sheets to their own sensory needs. Keep it simple, but factual. Give them the proper vocabulary even at a young age. Use visual cues and activities that they can participate in to secure their understanding. We designed the My Sensory Self Workbook just for kids. 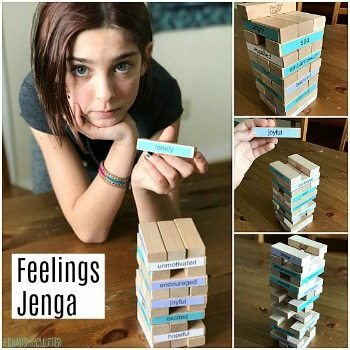 It was created to help them not only learn the 8 sensory systems, but to begin to recognize their own sensory preferences. Talk about sensory processing in everyday conversation. For example, when asking at dinner if your child likes a particular food, point out that olfactory and gustatory senses may be at play. If you are working with an occupational therapist (OT), consult with them about what you are teaching at home so that they can reinforce that in their sessions with your child. Speak to your child’s teacher so that they know what you are teaching about sensory processing at home and can further cement it in school. Once your child learns the vocabulary, help them to define their own sensory preferences. Giving them this language will be a powerful tool in helping them learn to advocate for themselves. Take them on a sensory walk. Explore and discover what you can find to represent each sensory system. 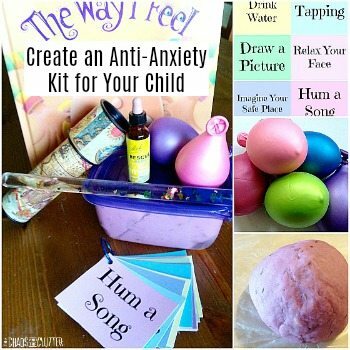 Have them make a collage out of pictures to go with each of the sensory systems. Have your child keep a journal of different sensory likes and dislikes that they notice as they go about their day. 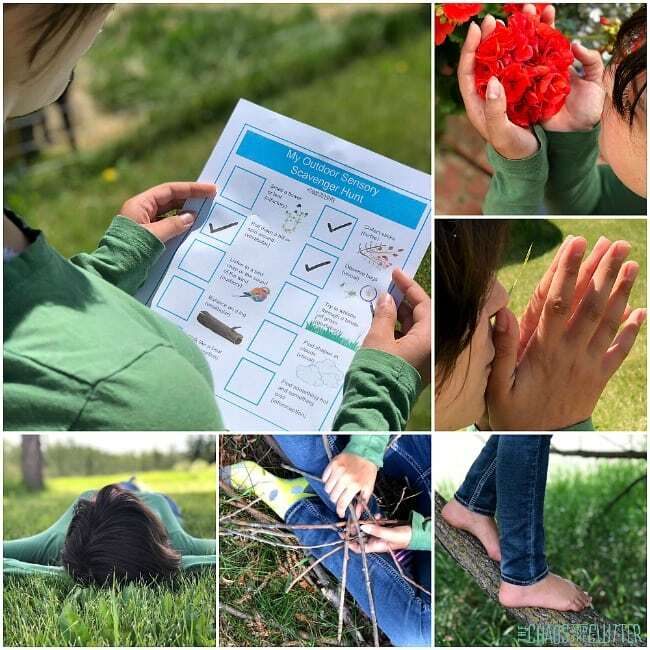 Do a Sensory Scavenger Hunt. Talking openly about sensory processing and about Sensory Processing Disorder can help give voice to your child’s feelings. It also allows them to express any questions they may have about it. Parents and teachers: You may find this free printable download of the signs of sensory overload helpful.